Dr. Wold was raised in Ogden, Utah. He graduated from Utah State University in 1995. He attended dental school at the University of the Pacific in San Francisco, where he graduated in 1999. 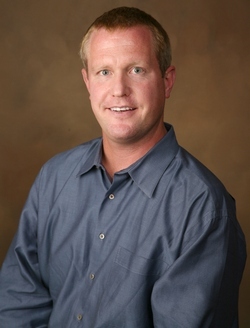 Dr. Wold practiced for one year in Bullhead City, Arizona, before moving to Boise in 2000. Dr. Wold now has his practice in S.E. Boise. He is a member of the American Dental Association, Idaho Dental Association, International Congress of Osseointegration, American Academy of Cosmetic Dentistry, and the Academy of General Dentistry. Dr. Wold is married to his wife Melanie and they have 3 children.